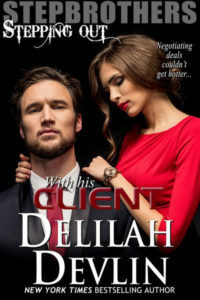 Thank you, Delilah, for the guest blog opportunity; and hello, everyone! I’m Mia Kay and I write … whatever comes to mind, honestly. Romantic suspense, contemporary romance, sci-fi/fantasy. If I have to pick a theme, it’s all about small towns. Small town settings or small-town people. Which is weird because I grew up in a small town, and I couldn’t wait to get out of there. Don’t get me wrong, it’s a great town. Most of my family still lives there, a lot of my friends still do, and it routinely makes the list of “best” places to live. But I wanted to see things. I couldn’t wait to live somewhere where the tallest building was more than two stories. And I did that. I still do that. But when my first story came to me, it was all about a woman returning home to her small town. The second is about a woman who realizes she is “stuck” in her hometown. The third is about a woman who wants nothing more than to call a small town her permanent home. The fifth is about a woman who flees to a small town for safety. There’s a lot to that. How many of us look in the mirror and still see the girl we used to be? How many of us go to huge cities and gawk out the windows thinking, “I can’t believe this is real”? Or how many of us meet our favorite authors and are amazed that they’re really nice people, or that they talk to us like we’re colleagues rather than awkward fans? My latest release is one of those “out of my league” moments. 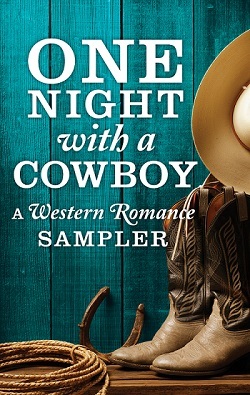 I’m in a western romance sampler with nine rock stars of romance. I still can’t believe it. 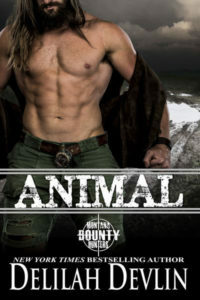 One Night with a Cowboy is from HQN and it’s FREE from your favorite e-book retailer. My contribution is the first five chapters of my next romantic suspense release, Hard Silence. Abby Quinn lives outside Fiddler, Idaho – in more ways than one. Her isolation is challenged by Jeff Crandall, the FBI profiler who moves in next door. “Good morning, George,” Abby whispered as she put a calming hand on the palomino’s velvety nose. “I told you I’d be back this morning.” After a year of working to earn the animal’s trust, it was rewarding look into eyes no longer hazy with disappointment. Still, the minute the gate opened, George trotted into the misty dawn, as though afraid someone would slam the door and trap her inside. Leaving him there, she went back into the stable only to run out when an equine scream ended canine yelps and snarls. All that remained of Hemingway were his thundering hoof beats and the waving grass. Hem’s trail was marked in the dew, and easy to follow. The tall grass swallowed Toby in a gulp, and Abby followed through the swaying fescue to the river, her bag of carrots and apples bouncing against her hip. Stepping carefully on the slick rocks, she hopped to the Simons’ pasture and continued up the hill. Mia Kay is a small town girl who loves to go back to visit, but is happiest living somewhere else. She can get back quickly if her family needs her, but she’s far enough away that they don’t stop by and catch her in her pajamas until far too late on Saturday morning. This entry was posted on Sunday, March 6th, 2016 at 8:33 am in Contests!, General. You can feed this entry. Both comments and pings are currently closed. I’ve lived in a small town all my life. I have lived in many different areas. I was raised on Army posts. I have only had one opportunity to meet authors at a book signing. I had a lot of fun. Debbie – thanks for stopping by and commenting! Lived in big city most of my life. Always wanted to live in a small town. Have enjoyed meeting authors at signings and of course taking pictures. Hi, Pat! Thanks for stopping by and commenting! I remember being in New York last year, watching couples with children, and wondering at how cool – and sort of strange – it would be to grow up in a city that large. *** Contest results *** Debbie Watson, you’ve won a copy of Soft Target. Congratulations! Please email me at mia (at) authormiakay (dot) com with your email address and what format you’d prefer (Kindle, Nook, etc. ), and I’ll forward it along to you.